Chief Minister Oommen Chandy will inaugurate the new Government Medical College (GMC) in the state today in Thiruvananthapuram. This is the second GMC in the state capital city and the 10th in the state. It is reported to be set up on the General Hospital (GH) campus here. In addition, the new medical college is expected to intake 100 students this academic session. The in-premise outpatient units in general medicine and general surgery is already operational. The new government medical college hospital in the state is also reported to be a merger of sorts, taking the shape of incorporation of the General Hospital and the Thycaud Women and Children’s Hospital. 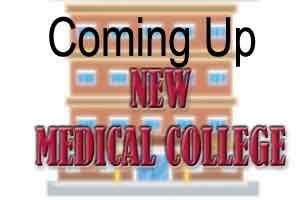 As reported by Hindu, the new medical college, according to a statement from Health Minister V.S. Sivakumar, would be the second in the capital city, after the existing Government Medical College Hospital, which in fact was the first in the State and inaugurated in 1951.